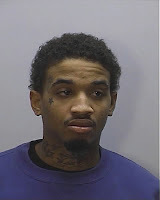 "GREENSBORO, NC (Sept. 2, 2016) –Greensboro police arrested a local man yesterday and charged him with First Degree Murder in connection with the disappearance of his missing 26-year-old girlfriend. Desmond Laquan Pendergrass, 25, was taken into police custody yesterday morning at his High Point residence and charged with the murder of Cree Asia Smith who was reported missing by family members on July 12, 2016. According to witnesses, Smith was last seen on June 16, 2016 at 2C Huntley Court where she and Pendergrass resided at the time. Detectives learned that the couple was involved in a domestic dispute immediately before she went missing. Because her disappearance was under suspicious circumstances, Crime Stoppers issued a Missing Person alert for Smith on July 15. Smith’s body has not yet been found. However, detectives established sufficient evidence through interviews and forensics to charge Pendergrass with her murder. Police are continuing to investigate, and hope to find her remains in order to bring some closure to her friends and family. Pendergrass is confined in the Greensboro Jail Central without bond."